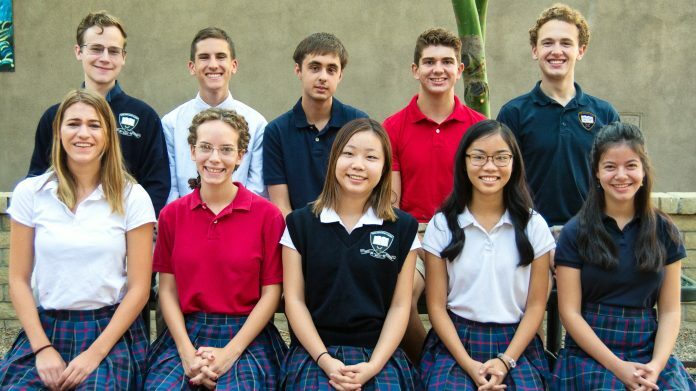 Congratulations to Tempe Prep’s 10 seniors who have earned prestigious national recognition for their impressive PSAT scores.Over 20% of Tempe Prep’s senior class has been recognized by the 2018 National Merit Scholarship Program that honors the top students. 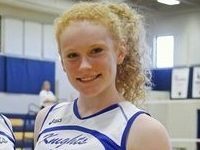 Five Tempe Prep students earned the Semifinalist status and five were named Commended Students. Additionally, one student was named a National Hispanic Scholar. All of these distinctions are based on the students’ 2016 PSAT scores. Tempe Prep seniors Cameron Borawski-Pickard, Aimee Cheng, Samuel Nagy, Lindsay Newfeld, and Carter Sampson are among 16,000 Semifinalists identified out of 1.6 million students across the nation who entered the competition when they took their PSATs. These students now have the prospect of being selected as Finalists later this year and receiving many impressive college scholarship awards. Seniors William Bowden, Katherine Camberg, Rachel Dinh, Emma Moriarty, and Jacob Steineke are among approximately 34,000 students nationwide who were distinguished as Commended Students and have received certificates acknowledging academic promise. Senior William Bowden has also been recognized as a National Hispanic Scholar, among the top 2% of Hispanic high school juniors based on their PSAT scores. He will also be eligible for many outstanding college scholarship opportunities. 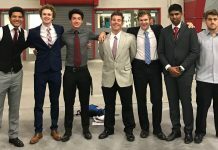 Tempe Preparatory Academy is a tuition-free public charter school in Tempe for students in grades 6-12 that provides a nationally acclaimed liberal arts education based on the Great Books of Western Civilization with an exceptional math, science, foreign language, humanities, and fine arts curriculum. Tempe Prep has been recognized by the Arizona Board of Regents as having the highest percentage of college graduates in the state and has been named the #1 high school in Arizona by Newsweek (America’s Top High Schools 2016). 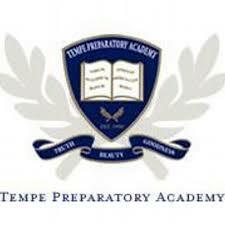 For more information about enrolling at Tempe Prep, visit the school’s website at tempeprep.org.